If you are reserving for more than one person please calculate the total and type it in the "General donation" field. Please write the names of all participants in the "In Honor Of" section. Otherwise, just choose from the options below. 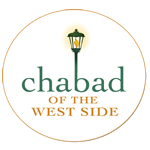 To reserve one of the special Honors of Yom Kippur please contact us at downstairsshul@chabadwestside.org.